Join Highrockers from across our Network to pray in adoration and thanksgiving, and for our local and shared concerns. On Thursday, August 16, 7:00-9:00pm, Christians from all over Boston will be gathering to worship on Boston Common - and you're invited! Do you have gently-used clothing that your child or teen has outgrown? Instead of letting it take up space in your home, donate it to children and teens who could really use it at the Great All-Highrock Clothing Drive on June 17th! 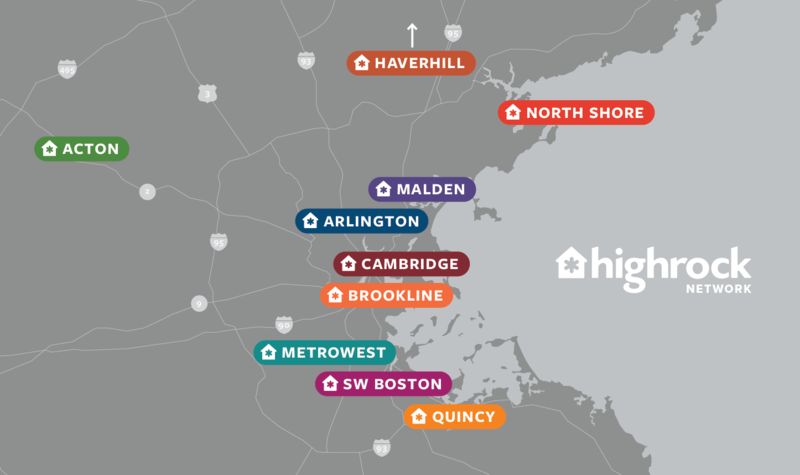 Highrock is Planting a New Church in Malden! Hear what led Edwin & his wife Kelsey to build a church in this community, and how you can get involved! It's a Highrock Family Reunion! Join us Sunday, June 17th from 10:00am-4:00pm for picnicking, fellowship, outdoor activities, and worship together at the Thoreau Center in Concord. Join Highrockers from around our Network in a 6k run/walk to raise money for World Vision's clean water initiatives. Everyone who participates will provide clean drinking water for someone in the DR Congo. Sign up today!